3 Bedroom Terraced House For Sale in Letchworth Garden City for Offers in excess of £270,000. A spacious three bedroom family home located on Upper Maylins in Letchworth Garden City. Buyers Incentive Our Corporate Client has offered to pay the purchasers legal conveyance costs should they choose to use Countrywide Conveyancing Services and the purchaser proceeds to completion on this property. 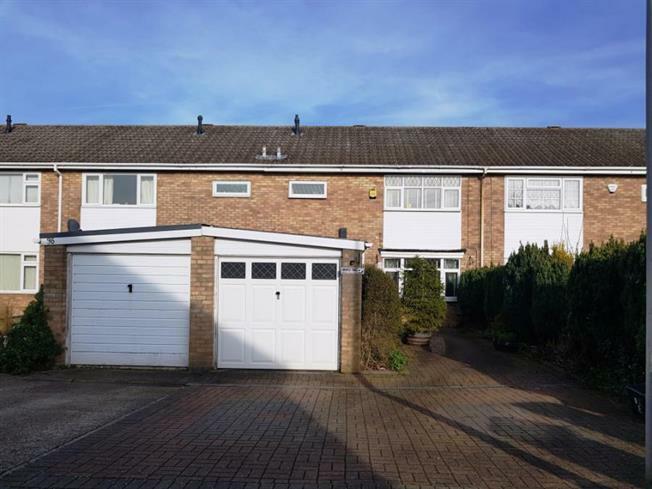 The property comprises, entrance porch with door leading to garage, hallway, lounge, kitchen/ dining room, conservatory, WC, three bedrooms and family bathroom. The property further benefits from a low maintenance rear garden, drive way and garage.